Abstract : the institutionalization process of this actor of the game, regarding the transformation of football’s rules in the past 150 years. Through the analysis of the archives of the first two club associations and of the Board, we will focus on the different actors who had to supervise and control the game. Studying the developments in the responsibilities of the central referee will then make it possible to better understand the complexity of his function and the exercise of his power, even leading us to question recent transformations like video refereeing and goal-line officials. Résumé : Reçu le 28 novembre 2013 – Accepté le 15 décembre 2014 Résumé. L'arbitre est une figure emblématique des sports modernes. Dans cet article, l'ambition est d'éclairer le processus d'institutionnalisation de cet acteur du jeu au regard de la transformation du règlement du football depuis 150 ans. 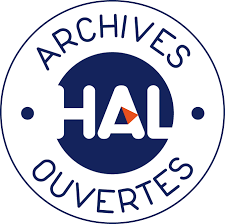 À partir de l'analyse des archives des deux premières associations de clubs et de celles du Board, nous nous sommes d'abord intéressés aux différents acteurs auxquels est dévolue cette tâche de surveiller et de diriger le jeu. Puis, dans un second temps, l'étude des évolutions des responsabilités de l'arbitre central nous amène à appréhender la complexité de sa fonction et les conditions d'exercice de son pouvoir jusqu'à interroger les transformations récentes que constituent l'apport de la vidéo et l'arbitrage à cinq. Mots clés : Histoire du football, arbitre, lois du jeu, rôle, pouvoir Abstract. Role and power of the football referee: an historical approach. The referee has emerged as an emblematic figure of modern sports. Our aim is to shed some light on the institutionalization process of this actor of the game, regarding the transformation of football's rules in the past 150 years. Through the analysis of the archives of the first two club associations and of the Board, we will focus on the different actors who had to supervise and control the game. Studying the developments in the responsibilities of the central referee will then make it possible to better understand the complexity of his function and the exercise of his power, even leading us to question recent transformations like video refereeing and goal-line officials.